Circa Late 19th - Early 20th Century. 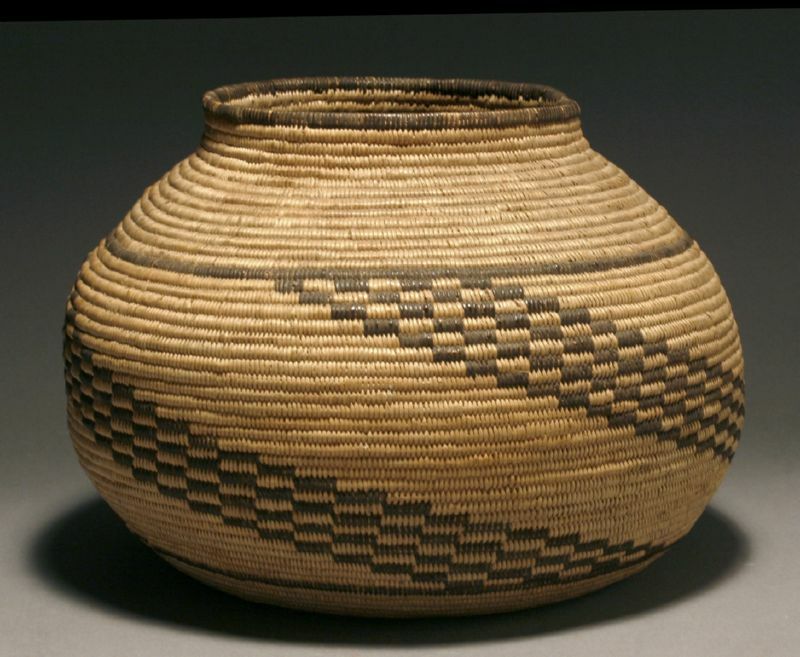 Mojave Desert Region , Western Arizona or Eastern California, U.S.A.
Coiled & rodded basketry composed of willow & Devil's Claw (Martynia) natural fibers. The Ed Kysar Collection of American Indian Art, Los Angeles, California. three stepped and checkered diagonal designs, four black elements wide, forming three "lightning" patterns from the shoulder to the base.